IslamiChina.com is the leading Muslim tour operator in China and we are proud that we have served over 48000 Muslim travelers from around the world since its establishment in 2002. Our customers are from USA, Canada, UK, Malaysia, Indonesia, Singapore, South Africa, Australia, Morocco as well as countries in the Middle East. China is not a Muslim country and Chinese is one of the most difficult languages in the world to learn. For Muslim travelers, the most important thing is to dine at Halal restaurants. IslamiChina.com is aiming at providing the most comprehensive information on Halal food in China. During tours, IslamiChina.com arranges lunch & dinners at well-known local Halal restaurants. Islam was introduced into China in 651 in the Tang Dynasty. Since then mosques began to be built in most parts of China which combines traditional Chinese architecture with Arabic style harmoniously. Besides visiting regular sightseeing places where non-Muslim travelers go, IslamiChina.com also arrange visits to historical mosques for our daily prayers. In Beijing we will arrange to visit Niujie Mosque which was built in 996; in Xian we will arrange to visit the Great Mosque which was built in 742; in Guangzhou we will arrange to visit Guangta Mosque (also named Huaisheng Mosque) which was built over 1200 years ago in the Tang Dynasty. China is a country with over 30 million Muslims. There are ten ethnic groups who are Muslims. You can even find Muslims who are Tibetans living on the roof of the World in Tibet. IslamiChina.com knows that the best way to know a place is to communicate with local people. Therefore we will you to visit Muslim communities including Muslim families wherever it is available. IslamiChina.com is a Muslim operated website providing info on China Muslim tour related services. We have a well-trained team of experts: some of us are Muslims and some of us are experts on Muslim traveling. We are not only experienced travelers, but also experts at tailor-making your China tour which can meet your specific demands. 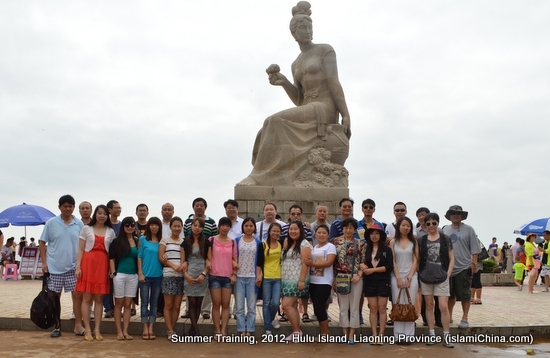 Our experienced team is the guarantee for a life time experience of China.